Diabetes technology is changing quickly. Insulin pumps, continuous glucose monitors, flash monitors and new insulins are constantly changing. Diabetes Advocacy works to bring you the latest information on the products. We highlight innovations and why choice is important for people living with diabetes. Diabetes Advocacy has extensive pages that show you insulin options, the insulin pumps and infusion sets currently available, as well as which glucose monitoring product may be best suited for your lifestyle. Diabetes Advocacy also offers you the latest information on traveling with your device. We have everything you need to know to fly, hike, drive, or boat. Deciding to use an insulin pump for the first time can be exciting and daunting. Whether you have been using insulin for years or are newly diagnosed, you have most likely heard all sorts of good…and bad things about insulin pumps. As you begin your research to find the best insulin pump for you, you quickly find yourself in wading in a foreign language. Let us translate some of the things you need to know when shopping for an insulin pump. One of the first terms that you hear is “basal rate”. This is your background insulin. It will replace the long-lasting insulin that you are currently using. On injections, you inject a set amount of insulin into your body once or twice per day. With an insulin pump, you will set basal rates that will deliver that insulin in tiny amounts throughout the day. 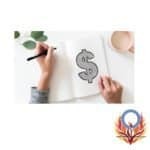 These amounts can be extremely small or they can be larger depending on age, insulin sensitivity, and other factors that your diabetes team will help you with. To give you a rough idea of what your basal needs will be, total up all of the long-acting insulin that you use in a 24-hour period. Take that amount and divide it by 24. This will give you a base idea of what you will require. A child who is only using 12 units of background insulin would need basal rates of at least .5 units per hour (and perhaps smaller). An adult who is currently injecting 36 units per day would not be as concerned about small basal rates. Again, your exact rates will be set with the help of your diabetes team but this will help you to understand if you need to be concerned about smaller or larger rates. What does it mean to bolus? Another thing that you will often hear is the term “bolus”. That is the amount of insulin that is used to cover meals and correct high blood sugars. If you have been on multiple injection therapy, this is the amount of rapid-acting insulin that you have been using. For children, there is often a need for very small bolus amounts. They might require .05 of a unit or less so small bolus rates are vital. In the case of teens, there can be a need for much larger bolus dosing. Can you change the bolus delivery rate? Large bolus dosing leads us to our next term–rate of delivery or delivery speed. If you require larger amounts of insulin at one sitting (think pizza or pasta meal), you may prefer an insulin pump that will deliver the bolus to you at a slower speed rather than all at once. Some people experience discomfort with large bolus amounts. Remember that your diabetes may vary so what is important for one person may not be a concern for another. Choice is important! Do you want to be attached to your insulin pump 24/7? Some people are okay with a tubed insulin pump. They may even feel comforted by its presence. Other people hate being attached to something. You have to decide which you prefer—infusion sets and tubing or a patch insulin pump and PDM. How much insulin will you use over three days? Insulin pumps require that you fill your pod/cartridge/reservoir with insulin on a regular basis. Pods currently hold 200 units of insulin. The Medtronic 670G and the Tandem t:slimX2 both hold 300 units. Some people are okay with changing cartridges and infusion sets at different times, others want to do it at the same time. Either way, if you are using larger amounts of insulin, you may want to consider a larger insulin container. Will you be using a continuous glucose monitor? A Continuous Glucose Monitor or CGM is a device that constantly monitors your blood sugar levels. If you are already using a system, you may want to know if it works with an insulin pump. Stand alone devices can be used in conjunction with the insulin pump of your choice but only specific brands “speak” to specific pumps at this time. Right now, the t:slim™X2 works with a Dexcom® system. The 670G works with the Medtronic® Elite system. If you are using the Libre™ Flash Monitoring system, there is currently no insulin pump that links directly to this device. Are you thin or do you have a bit of extra body fat? Are you athletic or pregnant? All of these questions are important when deciding on the best infusion set to use with your new insulin pump. Each pump company has their own names for the various infusion sets but infusion sets basically fall into three categories. There are sites that go straight in (90-degree sites). There are infusion sets that can be placed on an angle up to 30 degrees. Finally, there are 90-degree steel infusion sets. Each infusion set works best with a specific body type. Make sure to discuss these options with your diabetes educator or pump trainer. It is important to consider if you will need a certain type of infusion set before you purchase an insulin pump. Not all pumps currently allow you access to all types of infusion sets. Because you will be wearing your site 24/7, you want to make sure that you have the most comfortable fit for your body type and lifestyle. Are you visually impaired in any way? The lighting of the screen and its font size can be something to consider when choosing the right insulin pump. They can have a touch screen, a touch bolus or physical buttons that have to be pressed to deliver insulin and change settings. It is important for you to feel comfortable with which ever option your insulin pump has. You want to be able to view it in all lighting situations including when responding to those 3 am alarms. Do you need to lock your pump? Will the insulin pump be used on a small child? If so, you may want to ensure that you can lock them out of the insulin pump settings. Buttons and touch screens are often relatively easy to use but you don’t want small children to be able to easily access their touch bolus and accidentally deliver insulin unsupervised. If you don’t have private or public insurance coverage for your insulin pump, you will want to discuss payment options with your rep. Do they have a payment plan? How does the plan work? If you have insurance, will they work with your insurance company on your behalf or will you have to be the go-between? 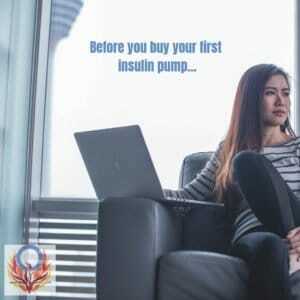 Purchasing an insulin pump is a huge decision. 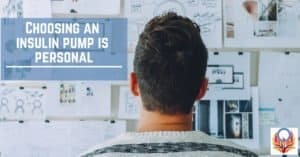 It is important that you understand the key feature before you begin your search. Diabetes Advocacy has helped to make this a little easier for you by creating a 20-page ebook with all of the above questions and more. 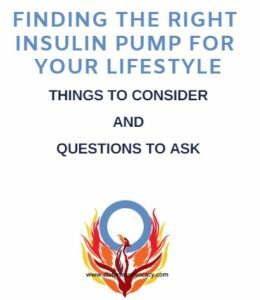 This downloadable document gives you things to think about before you purchase your insulin pump as well as prompts to ask your pump rep at your first meeting. An insulin pump is a long-term commitment. You will be with your pump 24/7 for the next 4-5 years. It is important that it fits your needs and your lifestyle. Take me to the insulin pump ebook. The media has been shouting for a while now about the new “artificial pancreas” on the market. This is driving me crazy. It is not an artificial pancreas. It is a new insulin pump. This new pump has some automated features but it does not completely replace a pancreas that is not producing insulin. It does not bolus for food on its own. It is not a cure. What this new device is is a new device! It is another tool to help people living with diabetes live a better life. That is it! Medtronic® does not call their latest insulin pump an artificial pancreas. They simply refer to it as “The world’s first self-adjusting insulin pump system for people with type 1 diabetes” (over 7 years of age). That is fair. In auto-mode, this new pump will make adjustments and suspend itself. It uses information from the continuous glucose monitor (CGM) to predict rises and falls in blood glucose levels. The 670G (this self-adjusting insulin pump) will get your background insulin (your basal rate) under control for you. In turn, “the sensor must be calibrated at a minimum of every 12 hours throughout the life of the sensor. For better sensor performance, it is recommended that you calibrate your sensor three or four times each day.” (page 216 of users manual). The manual also notes that “the Auto Mode feature still requires your input for meals, calibrations, and times when you need the target value raised.” (page 231). Again, making this is not a true “artificial pancreas” but a new tool for people with insulin-dependent diabetes. It’s just a new tool! This is great! I am seriously all for better tools. I am also all for choice as you can read here and here. I even have developed a tool to help you make your own choices when it comes to purchasing an insulin pump here. Choice is vital because everyone’s diabetes is different. Children have different needs from teens. Teens have different needs from adults. One adult requires different things from an insulin pump than another does. The good news though is that more choice is coming…or in some countries it is already here. In the US, besides the Medtronic® 670G, you have the option to use the t:slim X2™ with Basal IQ™ (this option is available in countries where the t:slim X2™ is sold and the Dexcom® G6 is approved for use). This pump also has a great automated feature. It predicts low blood glucose levels ahead of time and stops insulin delivery. The Basal IQ™ technology will allow the insulin pump to turn insulin delivery on and off as often as every 5 minutes. As I noted, this system works with the Dexcom® G6 Continuous Glucose Monitor which is currently the only CGM approved for use without the need for fingerstick calibration. These systems have been approved for use in the US and other countries. There are other projects that are still being tested like the iLet® project out of the University of Boston. Bigfoot Biomedical® is working on some exciting projects and patients are creating their own closed loop in the #WeAreNotWaiting projects. The world of diabetes management tools is once again expanding at a fascinating rate. It is an exciting time. We are not however at a time when diabetes is cured with an artificial pancreas. No system counts carbs—although the ILet potentially will allow the pump to learn how. Every system requires you to change out infusion sets that can kink or come out of the body. All of these systems require learning on the part of the user and the machine. Perhaps in another 20 years, we will see a true artificial pancreas. Maybe in another 30 years, it will be available to everyone who needs one. In the meantime, people with diabetes must continue to educate themselves on the various features of insulin pumps and choose the pump that best fits their lifestyle. Download our ebook to help you find the right insulin pump for you. Choosing an insulin pump is a very personal experience. Anyone who tells you otherwise is basically lying to you. To pump or not to pump, to go with tubing or no tubing, it is all a matter of personal preference. 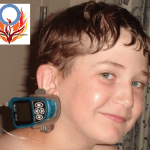 When we first began looking for an insulin pump for my son it was 2002 and he was 4 years old. The only requirement he had was that it could NOT be the blue pump. Everyone he saw seemed to have a blue insulin pump and he wanted to be different. As a parent, I knew that there were other things to consider. At first, however, I wasn’t quite sure what they were. I read books like Pumping Insulin. I reached out to the parent email list on the Children with Diabetes website. Finally, I consulted with friends and began to compile my own list of features that our insulin pump had to have. Get our insulin pump shopping list ebook. It was important for this to be the most up-to-date insulin pump. I was paying for this pump out of my own pocket and would have it for the next four years. I wanted the best technology for my money. My son was only four so it had to be able to deliver very small amounts of insulin. Because we were new to pumping, certain alerts were also going to make our journey a little easier. I didn’t order the blue pump. I didn’t order from the rep who became a lifelong friend. The other rep whom I met for coffee and answered every question I had, also did not get our business. I felt horrible not purchasing from either of these amazing people but pumping is personal. I had to go with the pump that fit us. They understood. I chose a brand new insulin pump. It had everything that we wanted in a pump. It had features that he would need in the coming four years and features that were perfect for our life at that time. This was an insulin pump that was ideal for our family. Let me repeat that…it was ideal for our family. It was not ideal for everyone’s family. This was a pump that was not ideal for every person with diabetes. That is the thing with insulin pumps and with diabetes in general…everyone is different. Everyone’s needs, wants, and budgets are different. The technology has to fit the person. 1. Do you want tubing or not? For some people, being attached to something 24/7 can be overwhelming. This might mean that an insulin pump is not for them. It may also mean that they might be better suited to a pump that has no tubing like the Omnipod. Other people find that having a pump at the end of their tubing allows them to know where their “pancreas” is at all times and gives them peace of mind. 2. Is a Continuous Glucose Monitor important to you? Do you need a continuous glucose monitor with your insulin pump? Are you already using one? Do you want a pump that “talks” to your CGM? Do you prefer the Flash Meter system? There are some insulin pumps with CGMs built into them. This can be a pro or a con depending on how you look at it. It is great to not have to be concerned about carrying or dealing with another device but technology is changing so rapidly that it can be nice to have a stand-alone device that is more updated than the one integrated into your pump. 3. Does it update itself? As I said, for me it was vital to have to most uptodate technology. My thinking was that if I was spending that kind of money, why did I want a Kia when I could get a Cadillac for the same price? Insulin pumps are constantly changing. New models are being brought to the FDA and Health Canada on a regular basis for approval. Some people, like me, want the most advanced technology for their money. Other people are okay with any insulin pump as long as it delivers insulin. Again, an insulin pump is a personal choice. Currently, in the Canadian and US markets, there is only one insulin pump company that offers upgrades without having to purchase a new insulin pump. A Tandem insulin pump has the capability to remotely update its software without the need to purchase an entirely new device. 4. How much insulin do you need? The reservoir or insulin cartridge is what will hold the insulin in your pump. Depending on your age and needs, size can make a huge difference. Teens for example, tend to go through a lot of insulin. An insulin pump with a 2mL(200 unit) cartridge will not last them nearly as long as a 3mL (300 unit) cartridge. Changing the reservoir takes time out of your day and that can be annoying to some. If you hate changing out your insulin reservoir, this might be something that you have to think about. Also, depending on your age and lifestyle, basal rates and bolus amounts are important. The basal rate is the amount of background insulin that your pump is delivering to you every hour. Each pump delivers that background insulin differently and has different maximum and minimum amounts. To get a rough idea of how much background insulin you might need, look at the amount of long-acting insulin you are currently using and divide it by 24. This is a very rough guess and will change with an insulin pump but it will tell you if you need smaller or larger basal rates. Bolus amounts are the amount of insulin that you will inject (or bolus) to cover your meals. If you are a big eater or you have a high carbohydrate to insulin ratio, you are going to want a pump that can handle that. If you are someone who is very sensitive to insulin, then small, precise bolus amounts will be very important to you. 5. What sort of alerts will you need? Will you remember when to do an infusion set change? Do you need a reminder to let you know if you forgot to take insulin to cover a meal? Is it important to you to have an alert that lets you know if you are dropping low or spiking during the day? 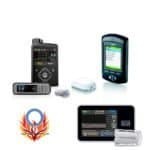 These are just some of the alerts that are found on some of the insulin pumps currently on the North American market. When searching for an insulin pump, take a look at the alerts and see which ones you will use and which ones you can do without. Choosing an insulin pump can be overwhelming. Make a list of what you require in an insulin pump. Think about the five key things I mentioned above. Add your own features that you feel are important like screen size and temporary basal patterns. 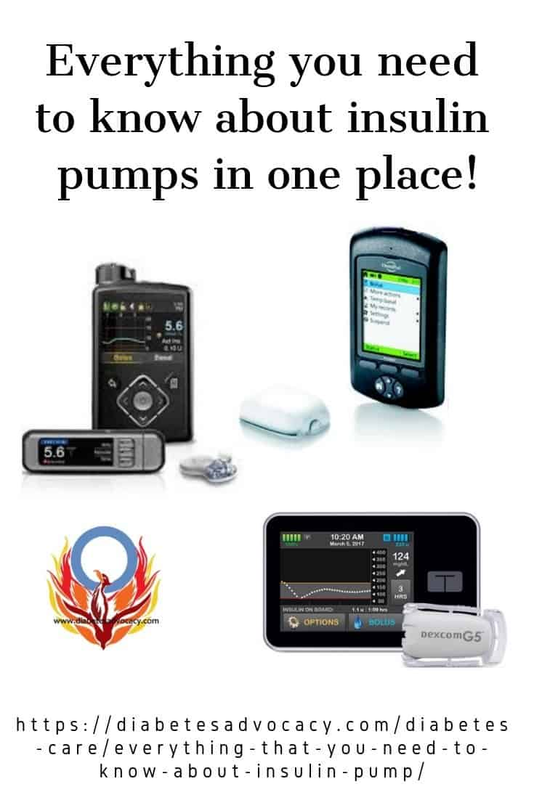 Once you have your list (we have a great checklist of features here), contact your local insulin pump reps. Contact all of them, not just the one from the pump company that you know the most about or the one that you are leaning towards. Get to know them. Get a feel for how they treat you. Learn about their payment plans and customer service. Will they let you try out the pump? Get our questions to ask your pump rep.
Make sure that you choose the pump that is the right fit for you. You are the one who will have to deal with it 24/7 for the next 4-5 years, no one else. If you are unsure where to start when looking for an insulin pump, our 4-day email serie can help. Johnson and Johnson announced on September 5th of 2017 that they were closing the doors on their insulin pump division in Canada and the US. Animas Insulin Pumps would be no more. Animas insulin pumpers in North America were heartbroken. While some saw it coming in the corporate rumour mill, others were blindsided. Animas had done something that many companies in many industries are striving to do…they had created a feeling that you were family. Whether you were an Animas insulin pumper or you used another brand, you had probably attended an Animas event and were treated royally. The employees with Animas all seemed to genuinely care about you. They checked in on you and took the time to know your family. I had the pleasure to work closely with many members of the Animas family over the years. They will be huge assets for the next company that employs them. I am sure that many of them are just as saddened as we are. This is not the first time that an insulin pump company has closed its doors. We have been here before…twice. Cozmo (personally a pump like no other) closed its doors in 2009. We still have two in my son’s closet. I have friends who still wear this as their pump of choice. It is doable even 8 years later. Most recently, Asante, a pump revered by many who tried it, was also forced to step away from the insulin pump market. Their users were devastated. They were heartbroken and felt lost–just like Animas insulin pumpers are feeling today. How did they go forward? One step at a time. The great thing about insulin pumps is that, while some have quirks, many are pretty sturdy and last. 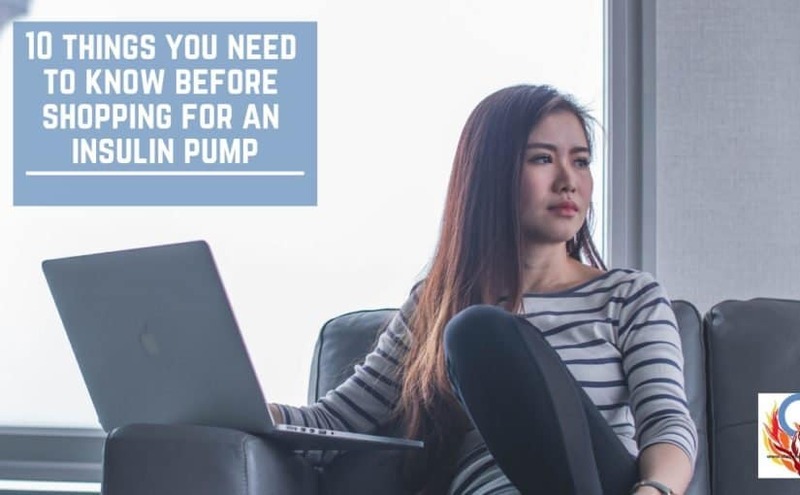 If you have more than one pump in your house–usually because one was out of warranty and you purchased a new one right away “just in case”, relax. If for some reason, you current pump stops functioning, go back on your old one while you decide which pump to try next! Just make sure to write down those settings and keep them in a safe place. You don’t have to stockpile supplies You don’t have to run out and buy a new insulin pump tomorrow. The Animas press release stated that warranties will continue to be honoured until September 2019. Cartridges will be be available until that date as well. Statements from both Animas and Medtronic note that supplies will still be able to be ordered in the same way as before. Nothing changes, except when your Animas pump stops working, you will not be able to purchase a new one. So while we take a breath and rethink our next steps…our next pump…our next option, I want to take a moment and say thank you. Thank you to the men and women who worked so hard to make Animas a different company. I truly appreciated getting to know so many of you. You brought us a new experience in caring. I hope that we meet again soon, with a new company perhaps bringing new options in diabetes care. Options are the most important thing. Make sure to always know your options and always choose the option that works best for you and your lifestyle. When my son was with us over Christmas, we were able to try out a DexCom. As mom, it was AMAZING!! I was completely in love. Despite a bit of warm up time, it quickly gave us a great overview of how his bg levels were trending. We instantly knew if we had bolused properly for that Chinese buffet. We knew if that site change had actually worked. It was heavenly. At night, I would wake up, peek at the graph and know right away if I needed to get up or if I could roll over and sleep for a bit longer. I had peace of mind that I had not felt in years. It was a true gift. My son was less impressed. To him it was another device to wear. It was another thing to carry around. It was another piece of equipment to have attached to his body. He was not sold on it. It was simply okay but not something that he could see himself really wanting any time soon. I was sad but my wallet was okay with the decision. Perhaps when he was in the workforce, he would see the benefit. At that point, technology would probably make it smaller and more accurate. At this point in his life, it is completely his choice. I was glad to be able to give him a bit of a break and some peace of mind in knowing that he didn’t have to do it all himself. The first night he was high. A few bad decisions and a bad site combined to equal terrible readings. As I lay in bed I wondered, should I test him now? Should I retest him? We were at the cabin and he was sharing a room with his brother. I would most likely wake up my oldest son who had to be at work early in the morning if I went in often. When was the best time to check things out? I struggled. I tossed. I slept in short bursts. The second night was not much better. He tested before we both went to bed. His reading was perfect. He was worried that he was too low for sleep. We discussed his meal choices for the day and I reassured him that he would be fine. To alleviate his fears, he had some chocolate milk before he went to sleep and only partially covered it with insulin. Chocolate milk has been our “go to” for awhile. It has just enough sugar to boost him and just enough fat to keep things even for a longer period of time. I woke up a few times wondering if I should test him. Was I right? Were things going perfectly? A trending graph would have been so helpful. Finally I got up at the time that I had set in my mind to check on him. He was perfect. 6.1 (110) Now I was nervous. Perfect could go either way very quickly. Was he safe? Would he drop? I wasn’t overly concerned about a spike but would he drop? I went back to bed reminding myself of the DexCom graph the last night he was here. His nights were great. He was virtually a flat line for most of the time once he left. We had made a few small tweaks but nights should be okay. I should have been able to sleep. I tossed and wondered. Three hours later, I had to check. Which way had he gone? He was now 7 (126). All was perfect. He was fine. He had made it through the night. His basals looked perfect. I could rest and sleep…well except for the fact that the sun was shining and I had to be up for an appointment. Posted on April 14, 2015 February 15, 2019 Categories Continuous Glucose MonitorLeave a comment on I Miss You Dex! 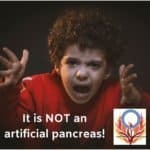 ” Artificial Pancreas approved by FDA” Sounds great doesn’t it? Its sadly right up there with “Scientists find way to cure diabetes”…in mice. Well, its not quite that bad but it is media hype that does not quite match the reality of the innovation. The Medtronic Veo insulin pump has been available in Canada for quite some time. For a change, we were able to avail of a new technology before the US market. In this case, it means availing of a technology that shuts down your insulin pump if your CGM tells the pump that you are low and dropping. This is a pretty great feature but does not for many equate to a true “artificial pancreas”. A number of people in the diabetes community feel that a true artificial pancreas is more in keeping with Dr. Ed Damiano’s Bionic Pancreas project rather than these smarter pumps. His pro-type has been used on adults and children with Type 1 diabetes in real world settings. A bulky model at that moment, but it has given people with Type 1 diabetes a freedom that they have not experienced since prior to their diagnosis. Dr. Damiano’s approach combines the use of insulin, glucagon, a CGM, a smart insulin pump, and finally an iPhone. With all of this, he is able to create a pancreas for people like his son who live with Type 1. Those who have listened to his presentation (like myself) walk away amazed and inspired. Those who have used the system talk of an experience like nothing that they have ever imagined before. They were able to enjoy meals without carb counting. They had nights without testing. They experienced relatively stable bg levels. It is truly amazing. This research is not funded by an insulin pump company. This researched is fueled by a father’s desire to keep his son safe. David Damiano was diagnosed with Type 1 diabetes at the age of 11 months. This amazing project has given my own son hope where he didn’t have a lot before. There are many great changes in the wind for people living with diabetes. Whether we are looking at a bionic pancreas, an artificial pancreas, or simply the improved accuracy of Continuous Glucose Monitoring systems. Diabetes care has moved forward a lot since our journey began over 13 years ago. I am excited to see it move forward much further in the next 13! The next challenge will be to ensure that people living with diabetes will have the ability to access these improved technologies.